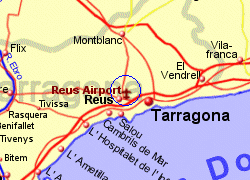 Reus Airport is located 3Km from Reus and 13Km North West of Tarragona and has good access to the Costa Dorada. 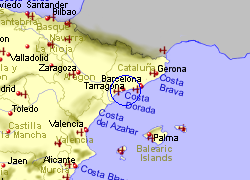 A bus service connects to Reus approximately every hour during the day. A bus service also runs from the airport to Barcelona several times per day to suit Ryanair flights. 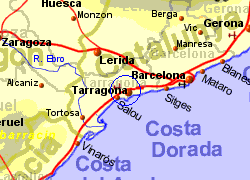 A third service runs from the airport to Tarragona and Salou. Taxis to Reus approximately €20, Tarragona €30.